Welcome back everyone, today’s topic is open houses. This year, my team is coming in and doing open houses every Saturday from 11am to 5pm. Our plan is to have two agents work each of these open houses, one from 11am-2pm, and the other from 2pm-5pm. Here’s one thing we are doing with our open houses that’s a little different. We are really focused on getting traffic into the homes, so we are paying someone around $80 to put up and take down a minimum of 50 house signs for each listing. This increases the number of people we market to, and it saves a lot of work for my agents. Additionally, we are targeting people on Facebook with an ad about the open house for those within 3 miles of the property. We are also putting flyers on doors and calling 250-500 neighbors and inviting them to a VIP only open house. 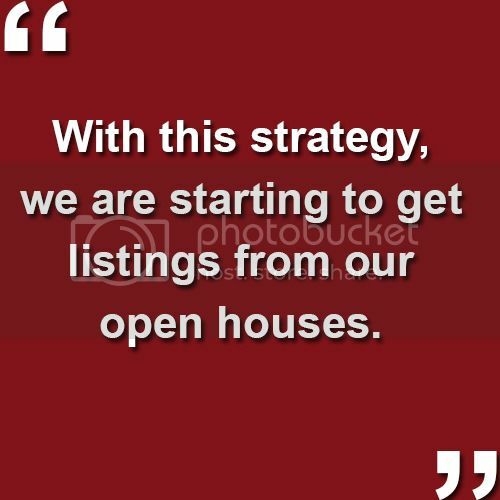 With this strategy, we are starting to get listings from our open houses. When the neighbors see what you do to aggressively market to your neighbor’s home, they naturally want you to do the same for their home. If you have any questions, comments, or if you know somebody who is moving to Arizona, we would love to hear from you. We are always here to answer your questions and take your referrals. Talk to you soon!